The Federal Government administers a wide array of programs on behalf of the American people: financial aid to assist with college attendance, social insurance programs and tax incentives to promote retirement security, health insurance programs to ensure access to healthcare and financial protection for families, disclosure requirements to help people obtain safer mortgages, and others. But Americans are best served by these programs only if the programs are easy to participate in and present options and information clearly. When programs are designed without these considerations in mind, Americans can incur costs that go beyond lost time and frustration. Research from behavioral science demonstrates that seemingly small barriers to engagement—such as hard-to- understand information, burdensome applications, or poorly presented choices—can prevent programs from working effectively for the very people they are intended to serve. In 2014, the White House Office of Science and Technology Policy (OSTP) established the Social and Behavioral Sciences Team (SBST) to ensure that our best understanding of behavior—how people engage with, participate in, and respond to policies and programs—is integrated into the policymaking process. 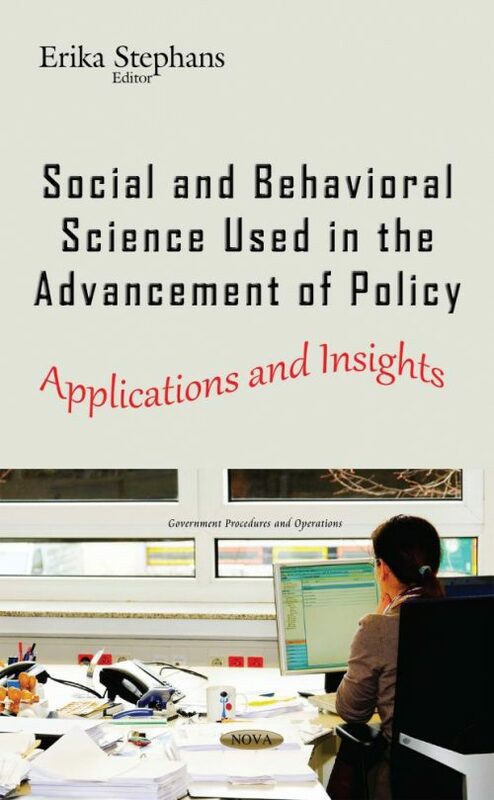 This book examines the social and behavioral sciences used in the advancement of policy.